Enter HomeLife's Sweepstakes to win $10,000! Complete the ballot for your chance to win BIG with the HomeLife Sweepstakes. Absolutely no obligation. Good luck! Buying? Selling? Mortgaging / Refinancing? Career in Real Estate? Insurance Advice? 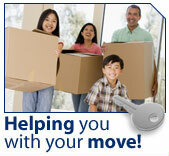 Moving Services? Would you like a free market analysis? Are you interested in receiving the Homelife Newsletter? Disclaimer By entering my contact information I give my express consent to be contacted by 'Bobby Sengar, HomeLife G1 Realty Inc., Brokerage*' and or real estate salespeople on behalf of 'HomeLife G1 Realty Inc., Brokerage*' to discuss potential services. First I would like to thank you for visiting my website..Here you will find the wide range of houses for sale in Brampton, Mississauga, Vaughan and Toronto areas. Today's Real Estate market is very competative and the question is.. I believe that sales is an art which needs to be studied on daily basis.. I have also achieved designations in representing house buyers ABR and also SRES for the friends in 50+ age group, who may be thinking about aging and issues with property for themselves and their Elder parents. If you are looking to buy a house, please click Find My Dream Home and Power Of Sale Properties. My purpose for you is to be, so Outrageously Happy with the help I provide you, that you'll gladly introduce me to atleast 2 people that you really care about, even before your own transaction is closed! For buying and selling real estate in GTA, call me for a free, no obligation consultation today. Please feel free to call me in case you have any further questions!